The Finnish Criminal Law contained until 1999 a paragraph that banned public “encouragement of homosexuality”. 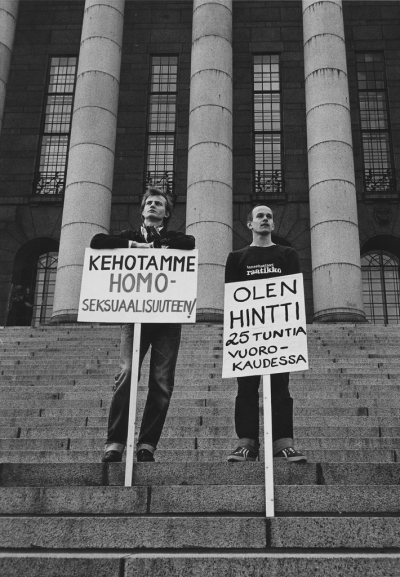 This paragraph, that was introduced in 1971 as a result of the decriminalization of homosexuality, affected the ways in which homosexuality was presented and silenced in Finnish media. The theme of the seminar is how the paragraph affected the public discussions in the 1970s and 1980s. The seminar will be arranged on the International Day against Homophobia and Transphobia 17.5.2016. Participants of the panel discussion: President Tarja Halonen, lawyer Ulf Månsson and writer Pirkko Saisio. Moderator: professor and media researcher Anu Koivunen. The seminar language is Finnish. The seminar room fits only 80 participants. The seminar is already full! The videos from the seminar are available on YouTube. The seminar language was Finnish and the videos include interpretation to Finnish Sign Language. The interpretation isn't visible in all opening words, but during the panel discussion it is visible. 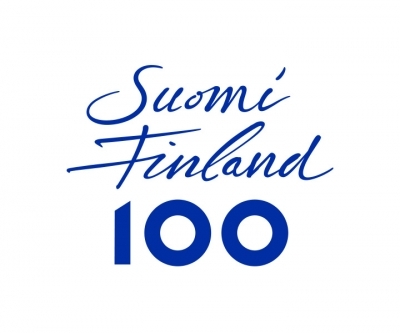 The seminar is the starting point for the project Finland 100 – In Rainbow Colors, which is a joint project by the Finnish LGBT organization Seta and Culture for All Service. The project is a culture, art and information project that presents the LGBT-history as a part of the national narrative of the independent Finland, collects new stories and material on the daily life of the LGBT minorities and brings forward current art and culture with a queer perspective.